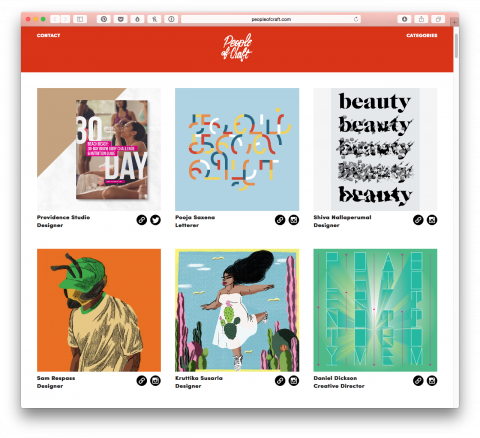 People of Craft is a growing showcase of creatives of color and their craft in design, advertising, tech, illustration, lettering, art, and more. I absolutely love this! Thank you for creating this resource, Timothy Goodman and Amelie Lamont.